Just few years are left in the start of Expo 2020 and the preparations are underway to take full advantage of this international exposure by presenting world’s best facilities and amusement to foreign delegations, tourists and (possible) investors from around the globe. The extensive construction work is providing lot of job and investment opportunities in the exclusive emirate and also creating business environment in the UAE. But in fact the whole building process is not limited to Expo 2020 but the government is hoping and planning to use the developed infrastructure for Expo 2020 in the Dubai South as a tourist and hospitality center for tourists after the end of the Expo. The experts of hospitality and tourism industry have the view that the presence of entertainment and theme parks in the area along with its vicinity to Abu Dhabi makes Dubai South to be an ideal destination for the tourists. This will assist in sustaining the economic growth even after the end of Expo 2020. Vice president for operations at InterContinental Hotels Group (IHG), Bastien Blanc, said the level of business in Dubai South will remain strong after Expo 2020. It is estimated that more than 25 million tourists will visit Dubai for Expo 2020 and all the sectors are in a hurry to complete various tourism and hospitality projects in time. He added that the proximity of Abu Dhabi is also advantageous for Dubai South as it will allow the travelers and tourists to remain longer in the area as they will be able to access different entertainment and leisure facilities in both these emirates. The tourists can easily enter both these areas from hotels located in Dubai South. Others also have same point of view. Swiss-Belhotel International’s senior vice president of operations & development for the Middle East, Africa & India, Laurent Voivenel, stated that tourism will be boosted by the infrastructure developed for Expo 2020. 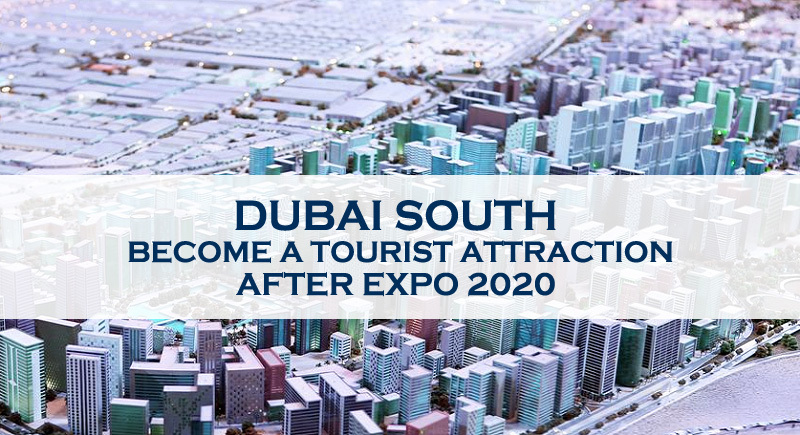 The opinion of all these and other experts and professionals of tourism and hospitality sector clearly indicate that the projects intended for Expo 2020 will make Dubai South as a high class destination for tourism industry. The under construction entertainment structure and its proximity to Abu Dhabi will allow the location to serve the tourists from around the world for quite long and it is expected that most of the tourists after Expo 2020 will come Dubai especially to visit South Dubai. This clearly predicts that the future of tourism and hospitality sector is quite bright in Dubai and the entrepreneurs and professionals related to the sector will get a new location for growth of their businesses. We at Riz & Mona can assist all the businesses related to tourism sector for acquiring trade license in Dubai and also to get visa services in Dubai for workers. By Mona, thank you for this post. Its very inspiring.